The MX series are a range of stereomicroscopes that combine durability with excellent value for money. The illuminated models are equipped with a choice of incident or incident / transmitted lighting. 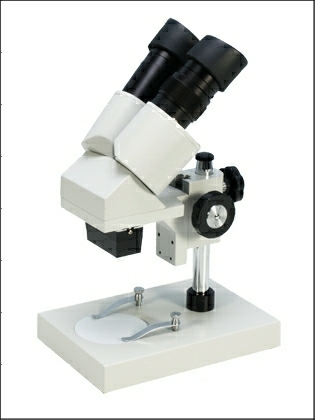 All models have inclined binocular heads for ease of use. The binocular heads have dioptric adjustment and the interocular distance can be varied to suit the individual. Coarse focus is by pillar adjustment with a robust rack and pinion system providing fine movement. Rubber eyecups and a dust cover are provided as standard. 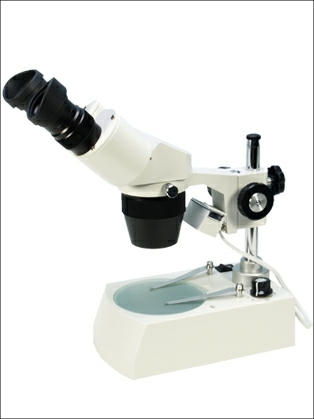 The microscope stands are equipped with a black/white dissection plate and a frosted glass plate for use with the transmitted illumination. The rack and pinion focus system has a clutch adjustment system to adjust the tension. All models with transmitted illumination can be fitted with a gem clamp and dark ground adapter to provide a gemscope for examination of precious stones and gems. 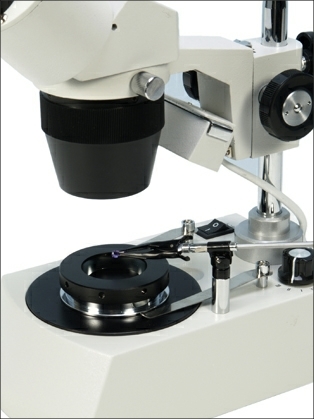 The MX1 is a cost effective introduction to quality stereomicroscopy. The stereo head is equipped with x10 super widefield eyepieces and a x2 objective pair providing an overall x20 magnification that can be extended to x10 to x120 with additional eyepieces and objectives. The stand has a chrome column coarse focus and a rack and pinion fine focus system. 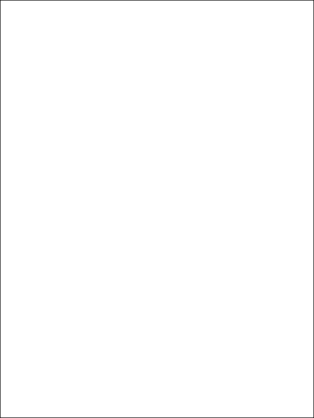 The stage has a rotatable black/white dissection plate with stage clips. The focus mechanism has a tension adjustment system that can be set to suit the individual. The interpupillary distance is adjustable between 55 to 75mm and one eyetube has dioptric adjustment. 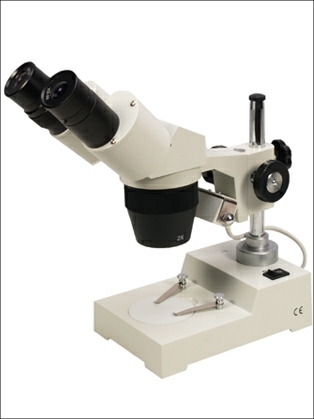 At x20 magnification the effective working distance. Excellent value for money. The MX2 has the same optical specification as the MX1, with the same potential magnification range with the use of additional objectives and eyepieces. The principal benefit is the addition of inbuilt incident illumination. Stereomicroscopes need good specimen illumination and whilst good low price sources of lighting are readily available (and necessary for the MX1), the presence of inbuilt lighting directed at the specimen is a great convenience. 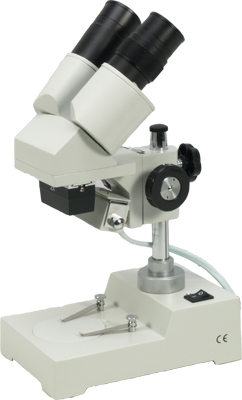 The MX2 has recently been re-introduced to our MX series microscopes directly as a result of customer demand and is recommended as an ideal instrument for the amateur naturalist. The MX3 has the same optical specification as the MX1 and has the same potential magnification range of x5 to x120 with additional eyepieces and objectives. The objectives are on a dovetail slider which makes changing the objectives pairs very simple, x1, x3, x4 and x6. The working distance at x20 is 57mm. The MX-3 has a raised base accommodating both incident and transmitted illumination systems. The incident lamp is fitted behind the objectives and shines down directly on the specimen area. The lighting is controlled by a rocker switch that allows either the incident or transmitted options to be used alternately. Both the MX4T and MX5T have turret mounted twin objectives which allow a choice of magnifications with each model. The MX4T has x10 and x30 magnification, and the MX5T x20 and x40, with alteration of the magnification being achieved by rotating the turret. 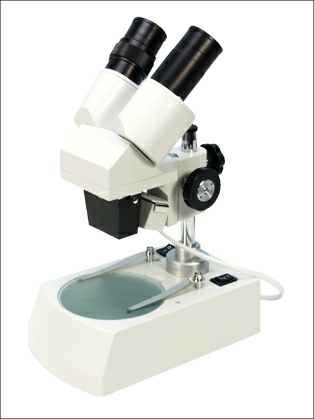 Additional increased magnification is possible with x15 and x20 additional eyepieces. However, the objectives are factory fitted and cannot be altered. Both models have the same incident illumination system as the MX2. Both the MX6T and MX7T have turret mounted twin objectives which allow a choice of magnifications with each model. The MX6T has x10 and x30 magnification and the MX7T x20 and x40 with alteration of the magnification being achieved by rotating the turret. 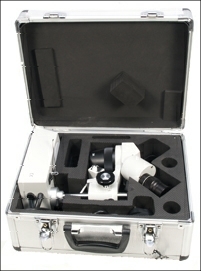 Additional increased magnification is possible with x15 and x20 additional eyepieces. However the objectives are factory fitted and cannot be altered. Both models have the same illumination system and focus mechanism as the MX3. The MX series has a range of accessories available from our online shop. The MX3 , MX6T and MX7T models can be fitted with dark ground attachments and a gem clamp for gem and precious stone examination.